Starshade is a diversified services firm based in Bangalore. 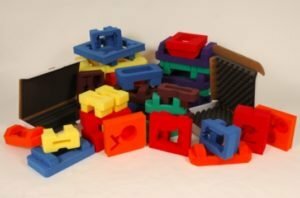 The foams are in different densities and types that includes Flexible Polyurethane (PU) foam, EPE Foam, Soft Foam, Hard Foam, Foam Mattress, Foam Pillows, XLPE Foam, Capcel Foam, Reticulated Foam (Polyether and Polyester), Bubble wraps, Die-cut foam, Industrial Packaging and Product Packaging etc. We supply foam for Mattress & Cushions manufacturers, Automotive filters, Consumer electronics protective packaging, Textile Industries and Industrial packaging, Footwear manufacturers, Helmet and other Industrial usage. The foams are most commonly used across various products manufacturing and protective packaging by consumer, textile and industrial products companies. We supply Varsities of Foam like PU Foam, EPE Foam, XLPE Foam, Filter foams in different densities and dimensions in bulk quantity. We provide Di-cut packaging solutions for various consumer and industrial products packaging in large quantity for companies. We have various online internet based platforms that connects consumers and services providers from our focused verticals. Foam Partners supplies varieties of foams in different densities and types that includes Flexible Polyurethane (PU) foam, EPE Foam, Soft Foam, Hard Foam, Foam Mattress, Foam Pillows, XLPE Foam, Capcel Foam, Reticulated Foam (Polyether and Polyester), Bubble wraps, Die-cut foam, Industrial Packaging and Product Packaging etc. Foam Bazaar is a market place for Foams and allied products based in Bangalore. 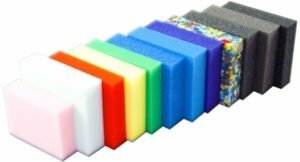 We supply variety of foam products in different densities, shapes and sizes according to our end customer’s requirement.We Supply PU foam, EPE foam, Filter foam, XLPE foam in foam sheets & rolls. Freshious Chicken is a leading supplier of fresh chicken meat based in Bangalore, we deliver fresh chicken meat at customer’s door step at affordable market price. Place your order on our platform and same will be delivered to your doorstep. You can order from our website, app as well as on call. Bags and Packs is an online platform to manufacture and supply of all types of bags based in Bangalore. We provide school bags, college bags, corporate bags with personalized branding and design, we work with schools, colleges, institutions and corporate companies and provide bags with their branding, design and size. Global GPS Systems provides innovative GPS tracking devices and solutions, we provide Vehicle tracking devices for cars, trucks & bikes, Asset tracker, Personal trackers and Navigation devices. We provide fleet management, fuel monitoring, load monitoring, employee tracking, school bus and corporate vehicles tracking solutions. Flowers Bazaar provides all types of flower decorations and flower products for Weddings, Receptions, Anniversaries, Ceremonies and all special Events and Occasions. We provide different designs and varieties of options to make your every event a special and memorable one. Bags and Packs is an online platform to manufacture and supply of all types of bags based in Bangalore. We provide school bags, college bags, corporate bags with personalized branding and design, we work with schools, colleges, institutions and corporate companies and provide bags with their branding, design and size. SoftwareX is one stop for all types of innovative software and technology solutions. We provide Enterprise software solutions, Applications, Automated Order & Billing platforms, CRM, Accounting and Custom software development services for Businesses, Institutions, Hotels, Hospitals, Schools and Government organizations to organize, manage all analyze all corporate organizational and commercial needs in systematic way.